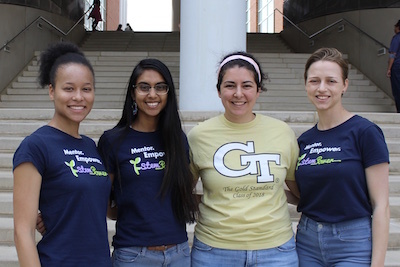 Stempower is a mentoring program offered by Georgia Tech women students that encourages girls to explore STEM and learn key character values, which will help to empower them in future endeavors. 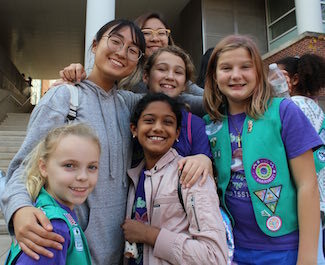 By partnering with the Girl Scouts of Greater Atlanta, two Stempower mentors meet bi-monthly with fourth and fifth grade girls in a given troop per semester. Each meeting is comprised of a different STEM activity, such as building rockets, making circuits, and learning to code, paired with a character lesson like encouraging questions and valuing mistakes. Research shows that young women start losing interest in math and science during middle school. 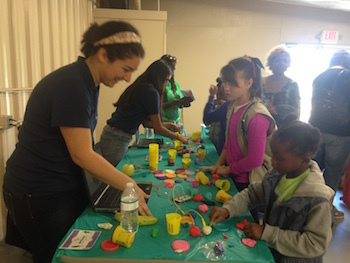 Stempower was created to mentor elementary school girls in STEM, thereby increasing their self-confidence and providing relatable role models. If interested in mentoring, contact stempower.gt@gmail.com, and to learn more, visit www.stempowerinc.org.